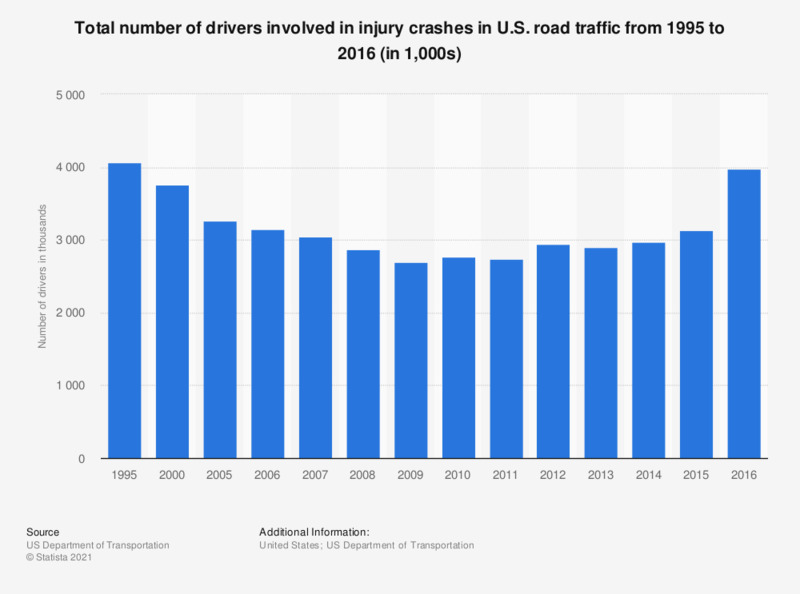 This statistic represents the total number of drivers involved in injury crashes in U.S. road traffic from 1995 to 2016. In 2016, almost four million drivers were involved in injury crashes in U.S. road traffic. Motor vehicle crashes are the leading cause of death among those under the age of 55 in the United States.